Partly cloudy skies during the morning, then windy with a few showers developing late. High 58F. Winds N at 20 to 30 mph. Chance of rain 30%..
Mostly clear skies early. Increasing clouds with showers late. Low near 40F. NNW winds shifting to SSE at 10 to 15 mph. Chance of rain 50%. 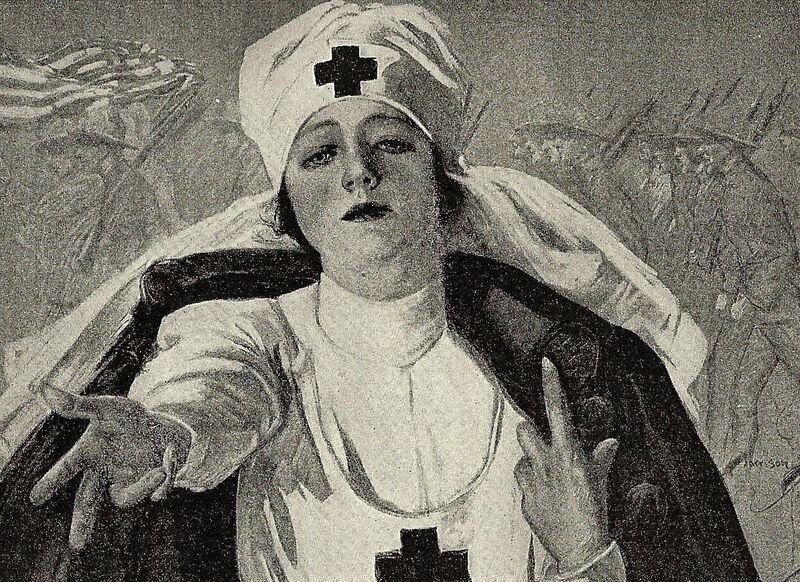 This image is from Harper's Pictorial Library of the World War, 1920, "The Armies Of Mercy". Several car loads of Deadwood and Lead sporters came down to Sturgis Thursday night to attend a prize fight which was given out would be a first class row. The tip was straight; as the fight broke up in a real row that has left sores and bruises, but not on the persons in the fighting ring. Roger Boe charged with being implicated in the burning of the Carrington and Merritt ranches in the Slim Buttes; presented an affidavit stating that Presiding Judge Rice was prejudiced and asked that the case be heard before another Judge. Judge McGee, Rapid City came up Wednesday, but the defendant was not ready for trial the case was postponed until January 12. Secretary Baker informed Chairman Dent of the House Military Commission that the War Department had decided that all discharged soldiers may permanently retain the uniform and over coat they wear when mustered out. Mr. Dent prepared a bill embodying the necessary authority. All you need to join the Red Cross is a heart and a $1 and you can wear your Red Cross button along with the rest of the crowd when the boys come home. Oh Boy! Ain’t it a grand and glorious feel’in. Dr. V.B. Francis this week installed a modern X-ray machine in his dental office at Newell. The equipment includes latest accessories on the market for X-ray machines. Doc. Francis is now prepared to give the people of Newell and vicinity the same expert dental service as can be had in many of the larger cities. N. R. St. Marie made a trip to the Short Pines yesterday after a load of poles to be used for the telephone line to be built between Govert and Hoover. Castle Rock would be willing to have some of the poles hauled if an organization could be gotten together to decide upon action to bring a much needed telephone line between Castle Rock and Newell. Castle Rock will do its part and that Newell will meet them half way. The verdict of the jury in the case of Charles Fowler, charged with the murder of Lead policeman Milan Miller, was a shock to most people of this immediate territory who had thought they were fairly familiar with the circumstances in connection with the tragedy. The undisputed evidence showed premeditated murder and how any jury of sane men could possibly agree on to as the court for leniency, is beyond the ken of law-abiding citizens. Robert Price and David Richards, students at the state university, have each been awarded prestigious honor badges in the ROTC, in which more than 200 of the university students are enrolled. A contract for construction of 132 miles of additional electric lines for the Butte Electric Association in Butte, Meade, and Lawrence counties has been approved by REA in Washington, announced this week by local manager Rodney K. Hanson. The contract of $39,645.15 for the new construction which includes lines south of Nisland, Whitewood community, east to Bear Butte from Minnesela to northeast of Newell. The substation will be moved from Belle Fourche to Nisland. John Brekenfeld, Pete Fiscus, Bill Brekenfeld and Walter Rivers went to Deadwood last Wednesday to have their blood typed. On Thursday Bill Brekenfeld was notified he qualified and gave his sister, Mrs. Walter Rivers, a blood transfusion. Ice fishing is just around the corner and anglers building ice houses should take heed of a few rules before they move their shanties onto the ice, according to Virgil R. Johnson, Chief Warden for the Department of Game, Fish & Parks. Every ice house placed on public waters must have owner’s name written on the outside 2” high and doors should be built so entry is possible at all times, only when the ice house is unoccupied may it be locked and then the lock must be on the outside. The annual leasing of school lands in South Dakota will began February 9, commissioner of School & Public Lands, Bernard Linn announced this week. The complete schedule of leasing dates will be announced within a few days and all persons interested in the grazing land leases watch the local newspapers for time and place. A tentative plan for oil and gas leases to be held February 18. A large crowd turned out for the December meeting of the Newell PTA Wednesday evening. The 6th grade, under the direction of Miss. Rita Wiegand, entertained with their version of getting ready for Christmas. The featured program was presented by Miss. Luz Mariana Verg, foreign exchange student from Peru who attends Belle Fourche High School. She showed slides of her native country, told about school system and answered questions. This was her first speaking engagement under the program. The annual Christmas party for all Newell Field Station employees and their families was held Friday night at the farm with a pot luck supper. A program of Christmas readings and songs was presented by the children after which Santa made a visit with a gift for each child. The remainder of the evening was spent visiting and playing games. A handful of people showed up for the meeting at Newell City Hall December 13 to informally discuss 5-year recreational needs in the Newell Community. Top priorities were lighting & re-surfacing the tennis court, repair lighting at the softball field, repair playground equipment and upgrade picnic facilities in the city parks. 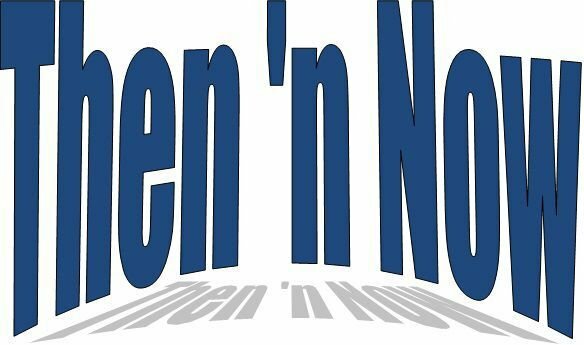 The survey will be presented to City Commission at the January meeting. Vandals removed and destroyed all the light bulbs on the huge Christmas tree erected on Girard Ave downtown Newell recently by City Crews, B.H.P. &L and B.E.C. Also strings of outside lights decorating the Donald Donahey home on 8th St, taken into the street and run over by a vehicle. Over on 3rd St, tall outdoor candle-type lamp posts in Austin Post’s yard were taken out to the street for further destruction. Also on 3rd St, the large globe on the Tri-County Locker was hacked and left swinging in the breeze.